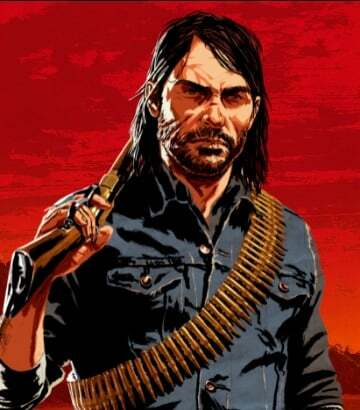 John Marston is a Central Character is Red Dead Redemption 2. John is well known as the protagonist of the first Red Dead Redemption. In RDR2 he takes more of a backseat, still a central character. One of Dutch’s most trusted companions, John is a very skilled gunman and has a no-nonsense character. A few years ago, John impregnated Abigail Roberts, and had Jack. They fell in love and he married the former prostitute. As time passes, John’s priorities start to become clear and only wants the best for his family. John Marston was born in 1873 to a Scottish immigrant and a prostitute, who died at his birth. By the age of 8, his father had passed, and he was sent to an orphanage. He remained there until he ran away with his future wife, Abigail Roberts, and joined the Van Der Linde Gang where Dutch took him under his wing and taught him how to read, write, and pretty much everything he knows. In RDR2 players get to see John Marston as a whole other person, during his days as a core member of the Van Der Linde Gang. After a failed heist that almost lead to his death in 1906, John left the Van Der Linde Gang in hopes for a better future with his family and Uncle. They acquired a ranch in Beecher’s Hope where they lived peacefully for 5 years before Bureau of Investigation agent Edgar Ross organised the kidnapping of his wife and son, blackmailing John to hunt down his former gang associates. John complied and after doing so, is reunited with his family shortly, before realising Ross wanted to all of the members of his former gang dead, and is descended upon by the same agency he was forced into helping. They eventually succeed in killing him, in the saddest death in video game history, but not before he ushers his wife and son to safety. After the events of RDR2, John and Abigail have a daughter who dies before the events of RDR in 1911.